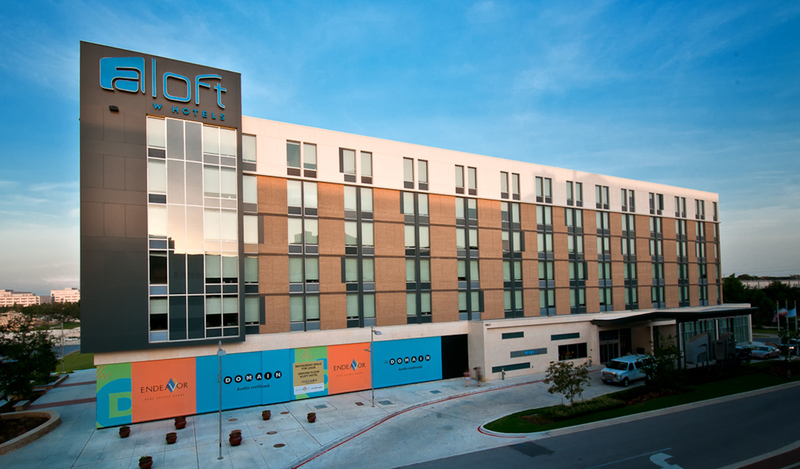 The Aloft Hotel in Austin is anchored in the trendy Domain development – nicknamed Austin’s second downtown. This 304-acre, open-air community is located in the heart of Austin’s northwest corridor and includes high-end retail, dining, residential, office, parks and entertainment venues. 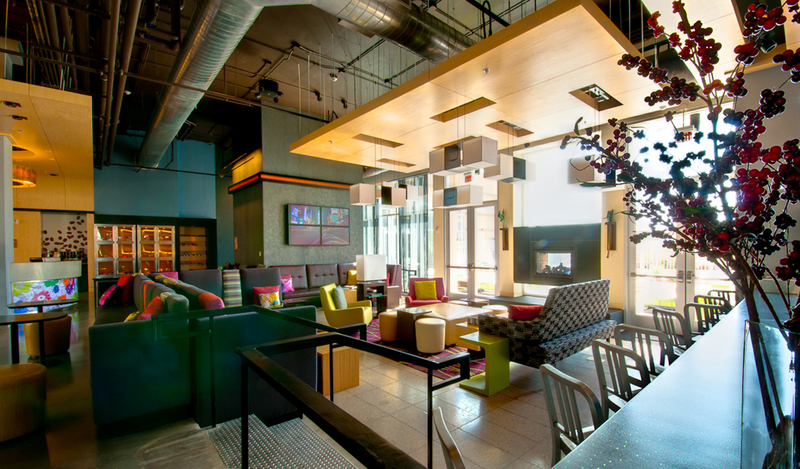 The Aloft Hotel appeals to today’s modern traveler with a loft-like ambiance of nine-foot ceilings and oversized windows as well as state of the art office and entertainment amenities. 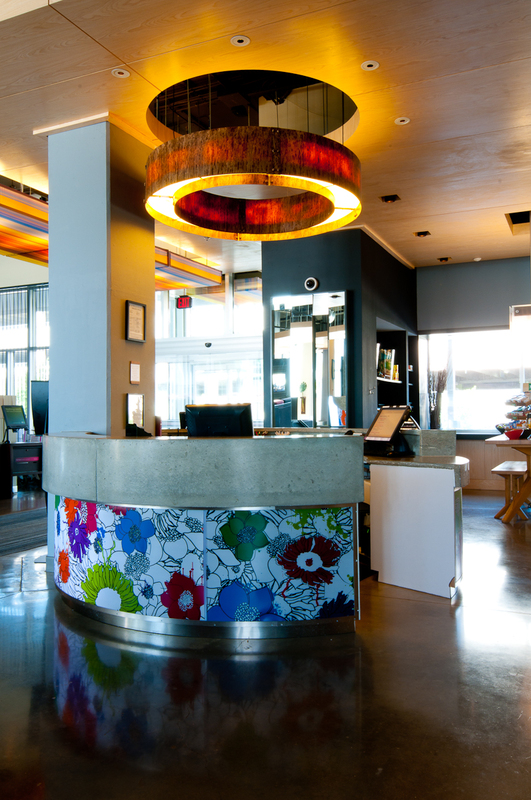 All Aloft hotels take part in a “see green” program. This program was created to introduce and promote ecologically friendly products and services, and highlights options both inside and outside the hotels. The Aloft landscaping plan takes what used to be the standard parking lot and reimagines it as a outdoor park-like environment, with a variety of deciduous trees and shrubbery. These elements help to reduce noise pollution and provide guests with an opportunity to stop and take a breath of fresh air. The “see green” program also features a special area of parking spots that are reserved specifically for hybrid cars, raising awareness of the benefits of environmentally friendly vehicles. 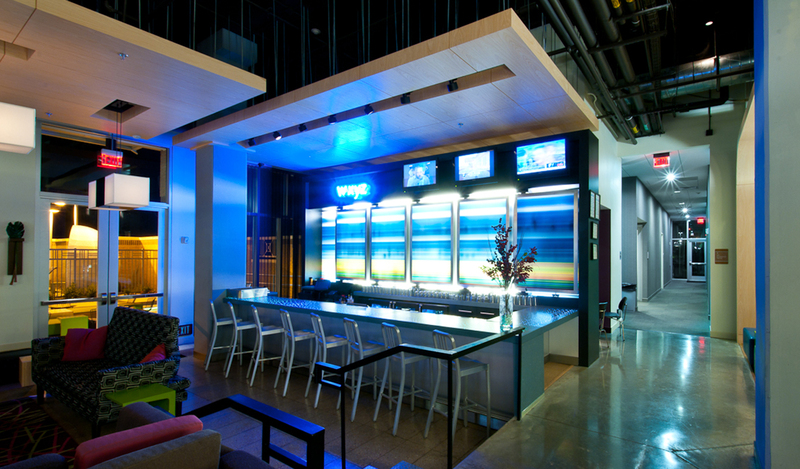 Whether you drive a hybrid or not, all guests can take advantage of aloft’s self-service car washing station. When guests want to tidy up their cars, they’ll be provided with eco-friendly cleaning agents as well as reusable cleaning cloths instead of paper towels. All Aloft guest rooms feature eco-friendly dispenser units in the oversized showers. The dispensers hold shampoo, conditioner and body wash to help to reduce the use of non-biodegradable plastic materials. The brand has also chosen ecofriendly construction materials like recycled teak wood which is used throughout the property in both the guest rooms and public spaces. 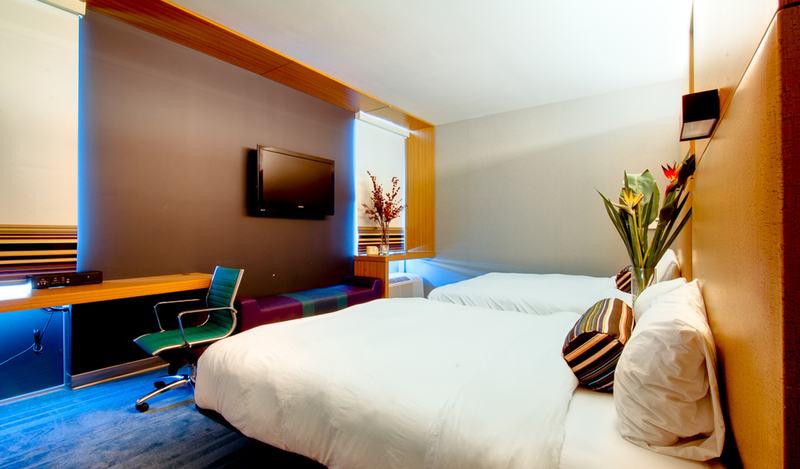 Each Aloft hotel has its own laundry facilities where Seventh Generation eco-friendly detergent has been established as the brand standard. The “splash” pool is cleaned with Clarity Water Products or Sal-Chlor cleaning agents.